Remy is just the biggest, hugest, LBA fan and we don't even know. "As to the name "Funfrock", I suppose it belongs to the few family names, originating not from an ancestor but an ancestress. First bearers of the family name "Funfrock" became so named after their mother or grandmother who was so wealthy that she could wear five skirts". The meaning is spot on - fünf = five (5), and Rock = skirt/dress. A variant of the name is Finfrock, so I guess the German original would have been Fünfrock or something? Edit: This Google search indeed confirms it's Fünfrock in Germany. Very interesting. Always wondered as a kid why he's got fun in his name, when there's not much fun about him at all. Would have never guessed that it's of german origin. By the way: The german voice pronounces Funfrock just like in English. 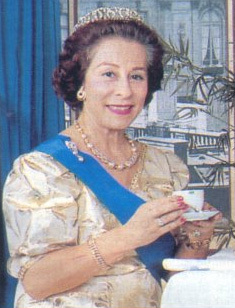 There is another famous Funfrock in France, Huguette Funfrock, who is a Queen Elizabeth II impersonator.